BabySumoKids love having congee aka Chinese porridge for dinner. Mummy loves it too because it's an easy, one pot nutritious meal for the family. To make congee, add your desired ingredients along with rice and water into a large pot and cook for 1 hour until the congee is smooth and thick. 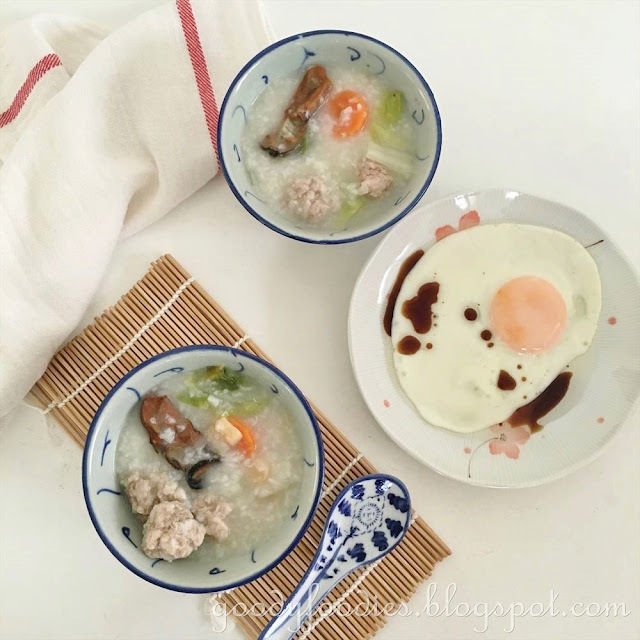 I like adding dried scallops and dried oyster to the congee as it gives the congee a lovely umami flavour. 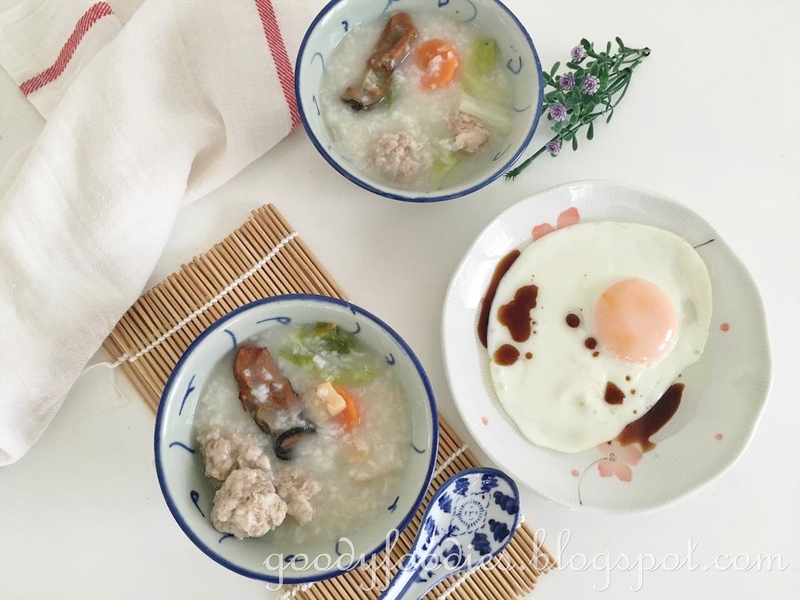 Earlier this week, I also added some pork meatballs to the congee for extra protein and the kids really liked it. 1. Rinse rice 4-5 times under water runs clear. Place in a large pot along with water, chicken, dried scallops, dried oyster, carrot and onion and bring to the boil over medium high heat. 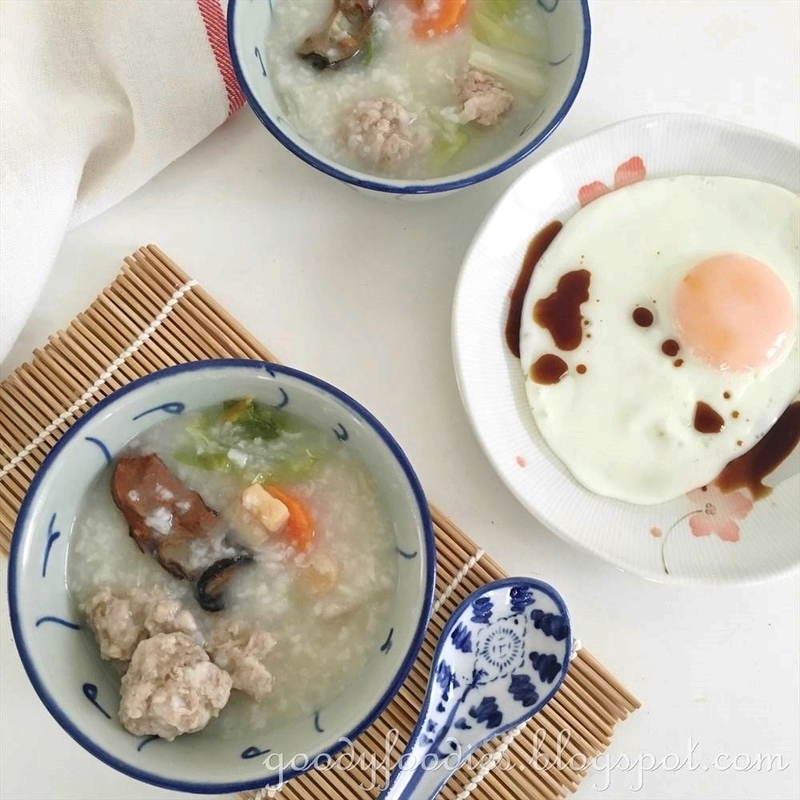 Once boiling, reduce to low heat and simmer for 1 hour, stirring occasionally, until congee is smooth and thick. 2. Add the Chinese cabbage and season the congee with salt. Increase to medium high heat. 3. Mix the pork, cornflour and soy sauce. Using your hands, make small balls and place in the congee. Cook for about 4-5 minutes. Note: If the congee is too thick, add more hot water, about 1/2 to 1 cup in Step 2. Harley's, DC Mall - For Great Burgers!